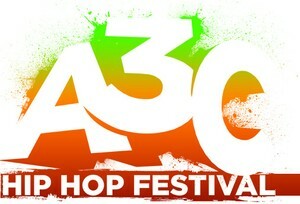 Home » For the Record » Just PRessed: A3C 2010 has set a date! While the music portion of South By Southwest is only a day away from kick-off, those behind Atlanta’s A3C Hip Hop Festival are already getting things in order for their annual music festival. Today (March 16) they announced that this year’s A3C Hip Hop Festival will take place October 7-9. Last year’s festival, which also took place in October, featured a number of both local and nationally known performer’s including Rakim, Killer Mike, Kidz N The Hall, Pill, B.o.B, Spree Wilson, and more. The A3C Hip Hop Festival, which has taken place annually since 2005, is considered the largest Hip Hop festival in the Southeast.